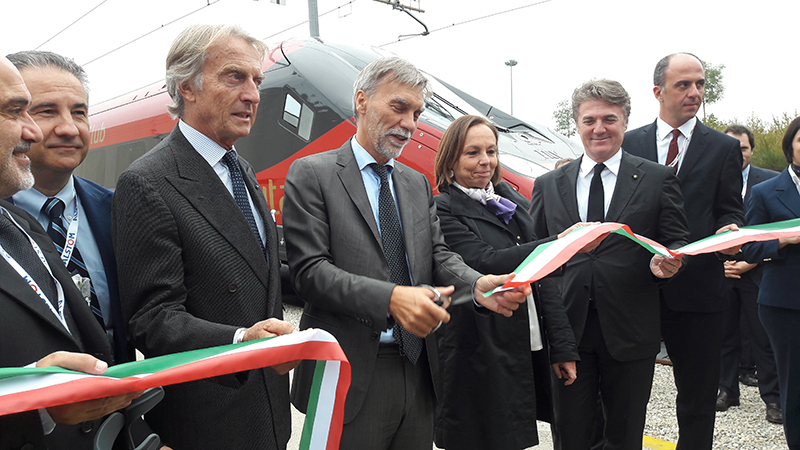 On 3 October Alstom and NTV jointly inaugurated the first of twelve Pendolino high-speed trains ordered by NTV the private Italian operator. 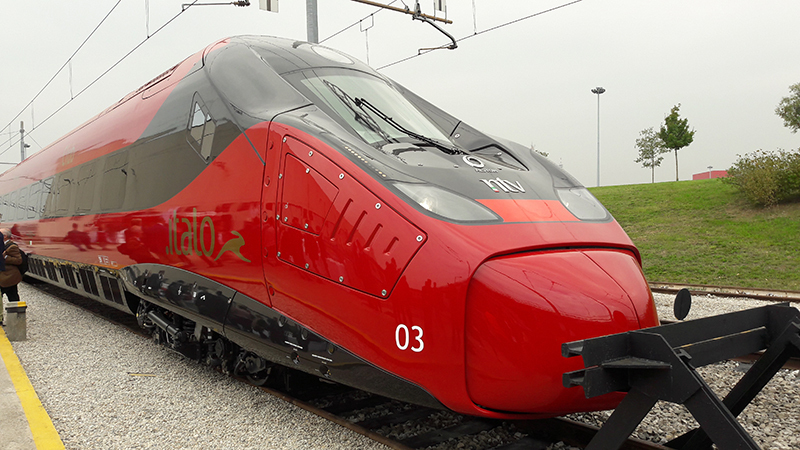 The trains are part of Alstom’s Avelia family of high-speed trains which also includes the AGV.Italo train previously purchased by NTV. The ceremony took place at Expo Ferroviaria in Milan (Italy) in presence of Graziano Delrio, Minister of Infrastructure and Transport of Italy, Luca di Montezemolo, Chairman of NTV and Flavio Cattaneo, CEO of the company. The latest version of the Pendolino Avelia high-speed train, will come into operation in early 2018. These trains, in addition to the existing fleet of 25 AGVs, will bring up the NTV fleet to a total of 37. The Italo EVO can reach maximum speed of 250 km/h. It consists of 7 coaches, totalling 187 meters, and features a futuristic and emblematic nose which ensures a high level of aerodynamics and safety for the driver. The train is equipped with a distributed traction system designed with high level of braking efficiency and regeneration. Its eco-design and the use of recyclable materials at construction phase make it environmentally friendly and highly sustainable. 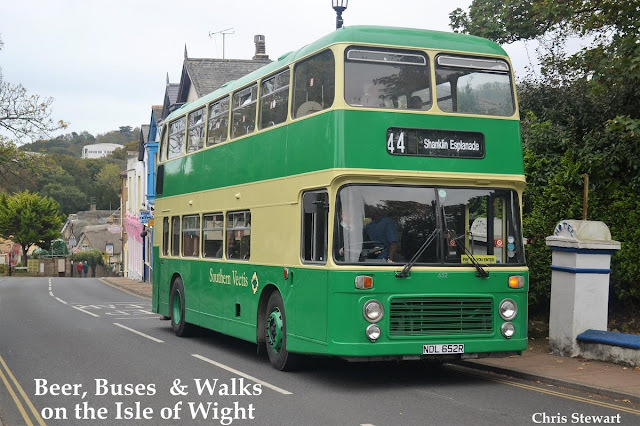 The interior configuration provides a high standard of passenger comfort. The major innovation of the train compared to previous generations of Pendolino is its full compatibility with the very latest 2014 TSI regulations established by the European Union. This EU standard contributes to guaranteeing high levels of safety and efficiency. The trains are produced at Alstom’s sites in Italy. The Savigliano site is responsible for the design and the manufacturing of the trains. The other sites involved are: Sesto San Giovanni (Milan) for the design and production of the traction systems, and Bologna for the signalling systems. The maintenance work will be carried out at the site in Nola (Naples), which is currently responsible for maintaining the .Italo trains.